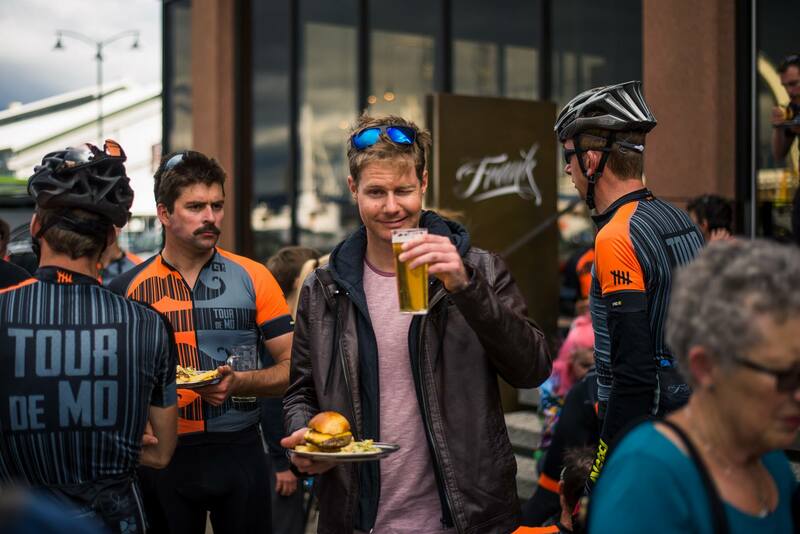 Welcome the Mo Riders into Hobart! 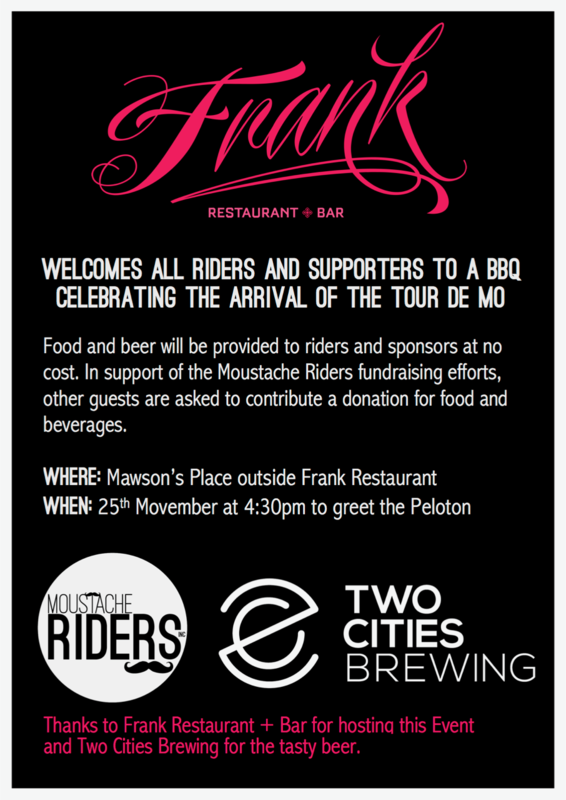 Join us for a gourmet BBQ and beers at Frank Restaurant and Bar on Saturday afternoon (24 Nov) when the 2018 Tour de Mo rolls into Hobart! 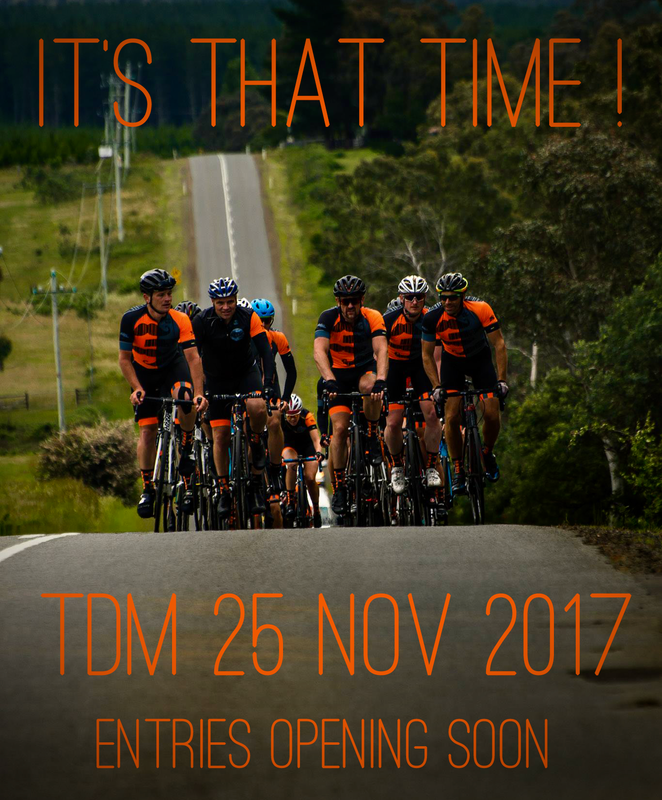 Welcome riders of the 2017 Tour de Mo as they roll into Hobart! 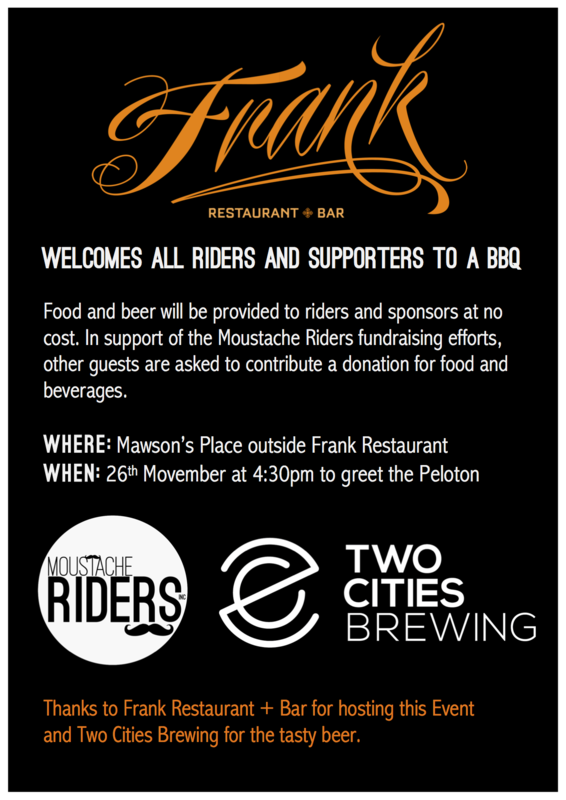 To ride this year’s tour, you need to register as a Moustache Rider. 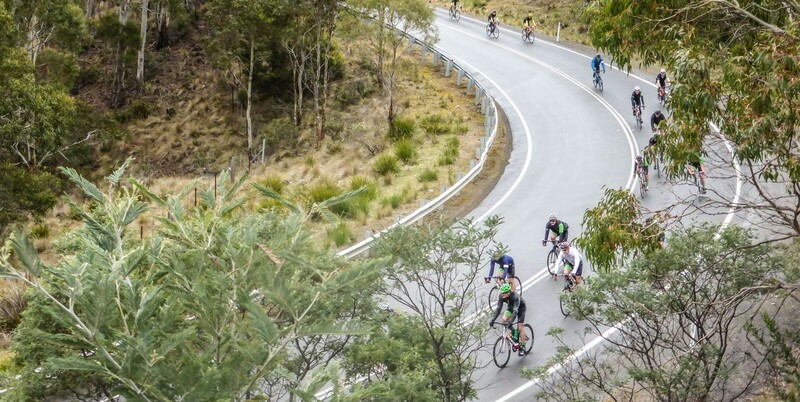 Welcome riders of the 2016 Tour de Mo as they roll into Hobart! The opportunity to ensure you have a perfect fitting kit is available until next Tuesday (26 July). 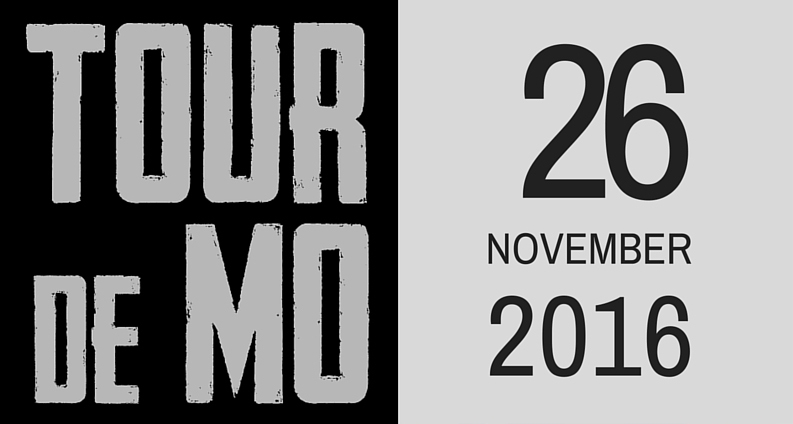 Get excited people! 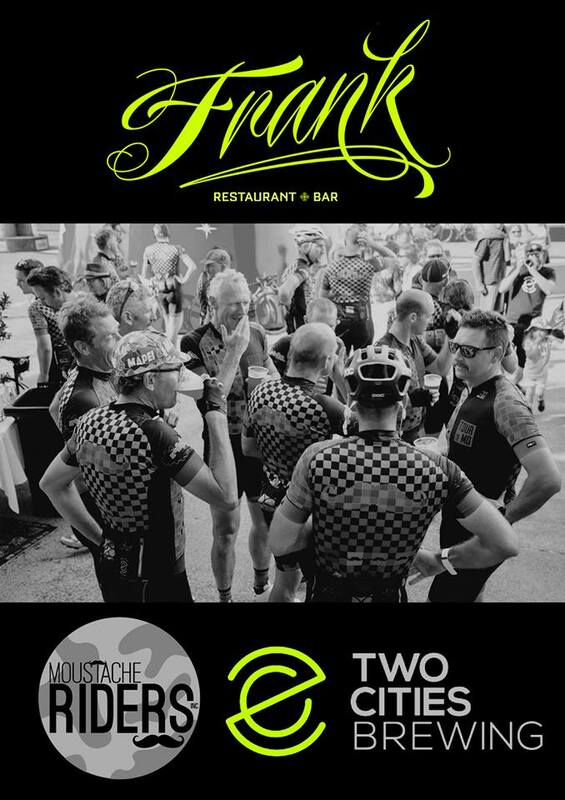 Entries for the Tour de Mo 2016 open tomorrow. It’s launch day suckers. 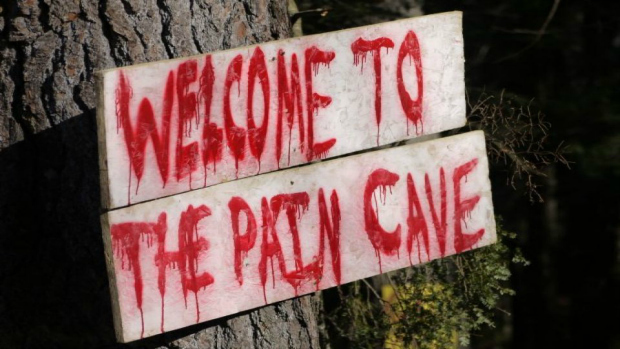 New website, new route, new challenges. 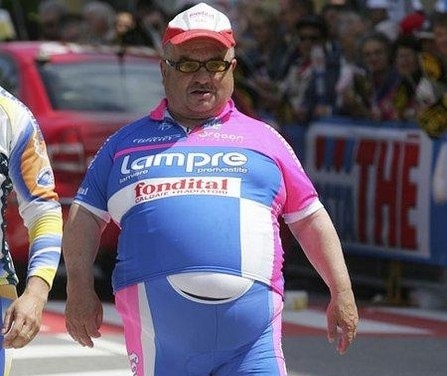 You’re going to need a base and then some for this years ride.